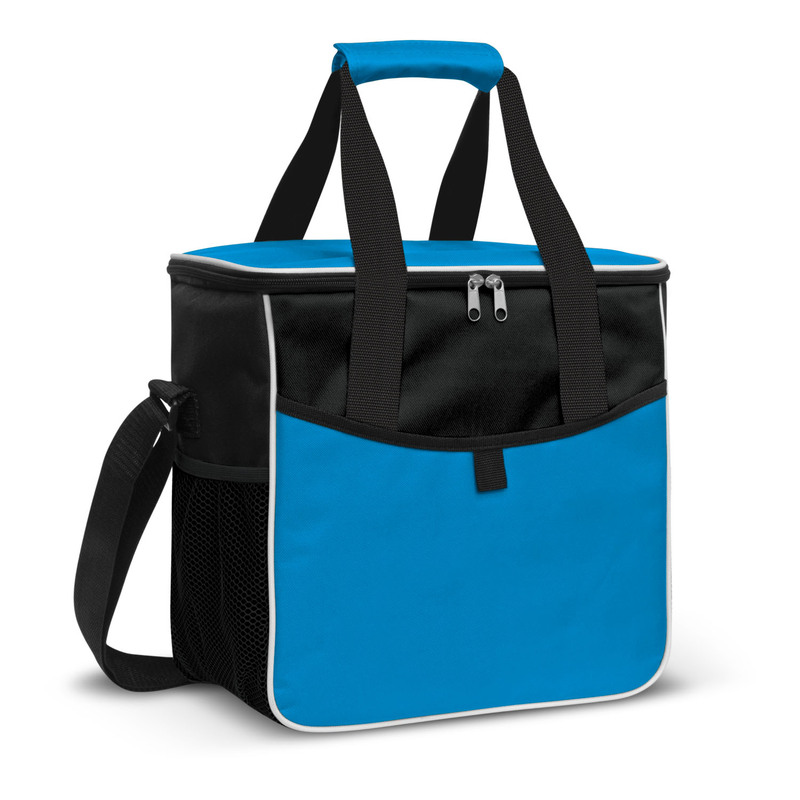 Enjoy a nice picnic or healthy lunch with this large size cooler bag! Perfect size for any lunch, picnic, boating incursion, hunting trip, tailgating event, or vacation. This impressive large 18 litre cooler bag is easy to carry with comfortable adjustable woven shoulder strap. 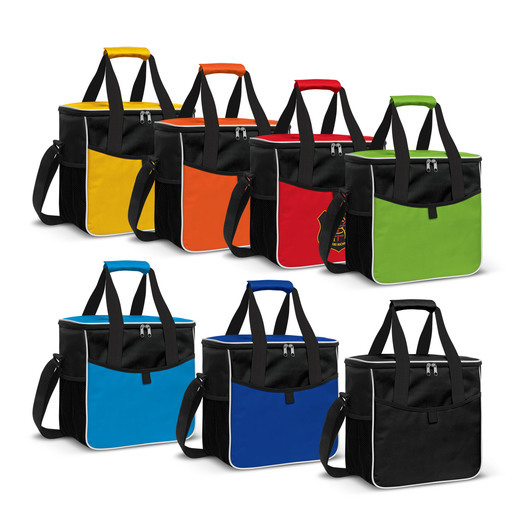 Manufactured from 600D polyester with thick PE foam insulation encased in a waterproof PEVA inner liner. It has large front slip pocket and two mesh side pockets. It also includes a zippered top closure, and woven carry handles with a Velcro cuff.